Many Wrangler owners switch tops seasonally. Hardtops are great for the colder months, but they do not allow you to enjoy top down driving in the spring and summer. Lange Originals is the industry leader in hardtop lifts and storage options. 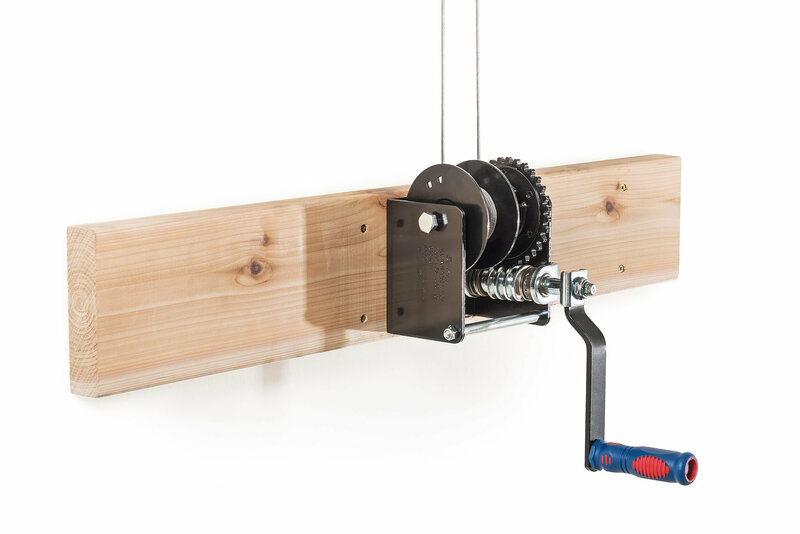 The Lange Originals Hoist-A-Top Simple offers the reliability of the rest of their Hoist-A-Top line, but at a better price point. 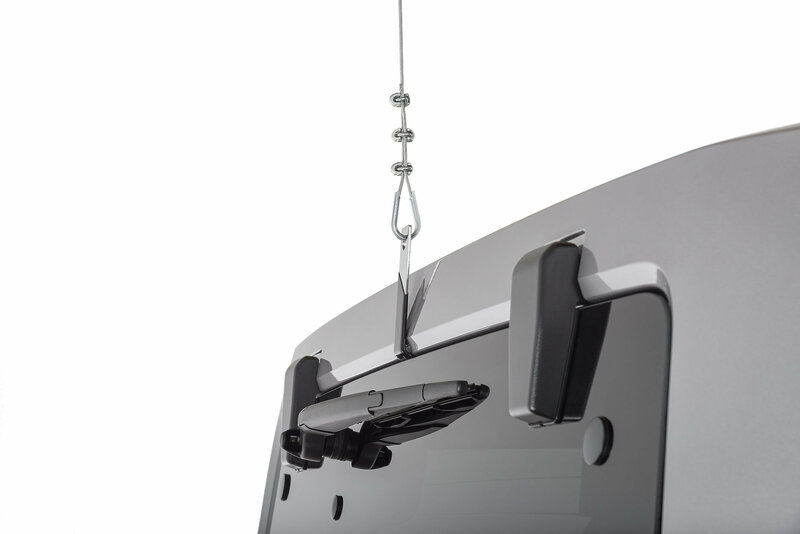 What separates the Hoist-A-Top Simple from the rest of Lange's hoists is it does not feature storage for your Wrangler JL's Freedom Panels. However, Freedom Panel storage options are available separately. 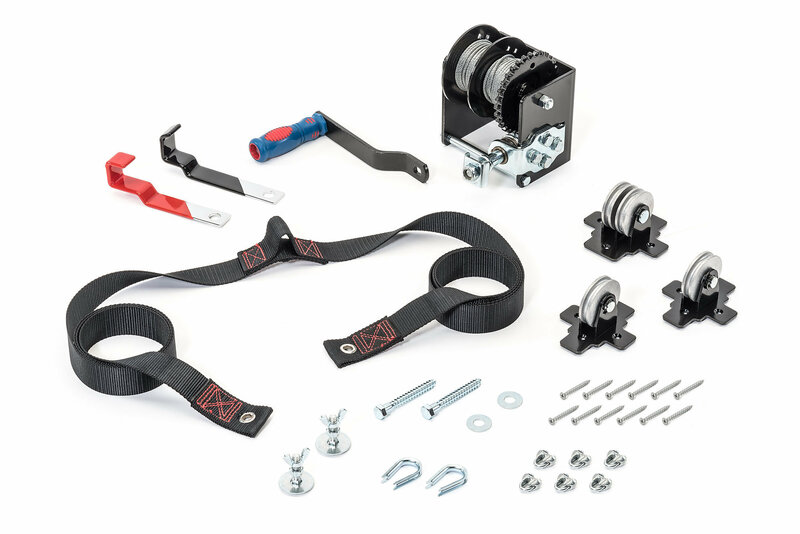 This easy to use crank operated system lifts and stores your Jeep's hardtop. Simply raise your factory hardtop and drive away. 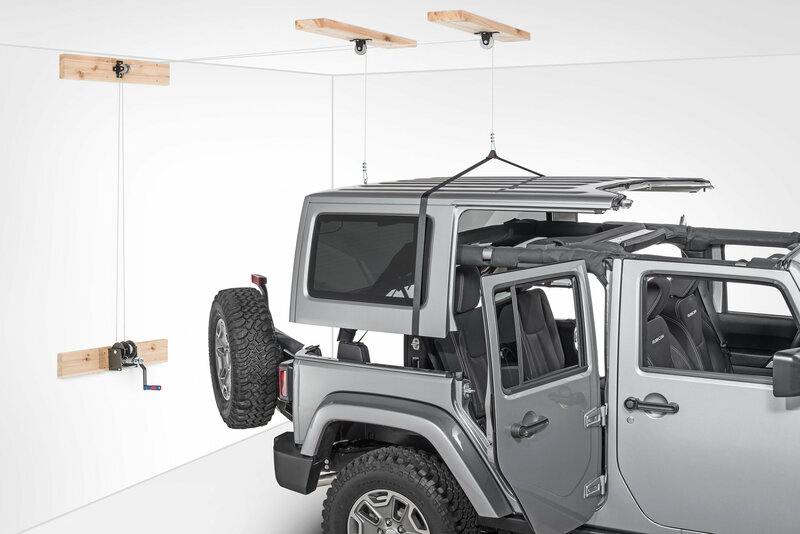 Lifts and Stores: The Lange Originals Hoist-A-Top Simple both raises and provides an out of the way storage location for your Wrangler’s factory hardtop. 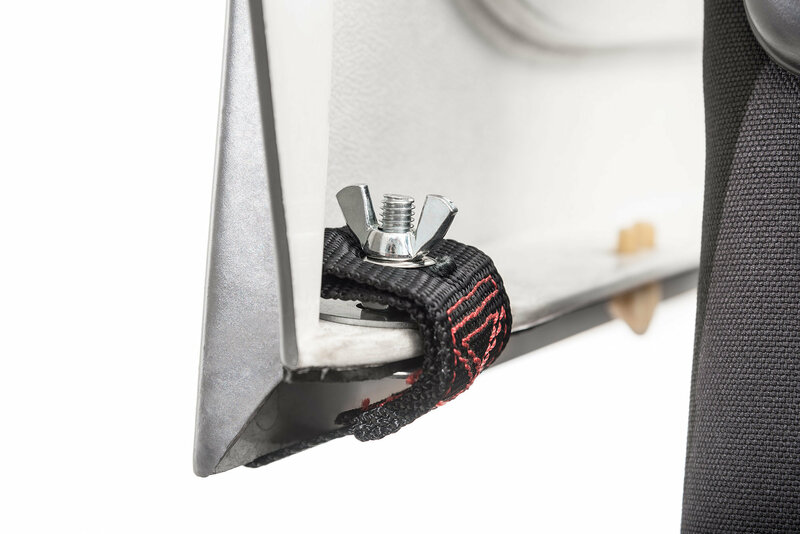 Unlike Lange’s other Hoist-A-Top options, the Hoist-A-Top Simple does not provide storage for the Freedom Panels. 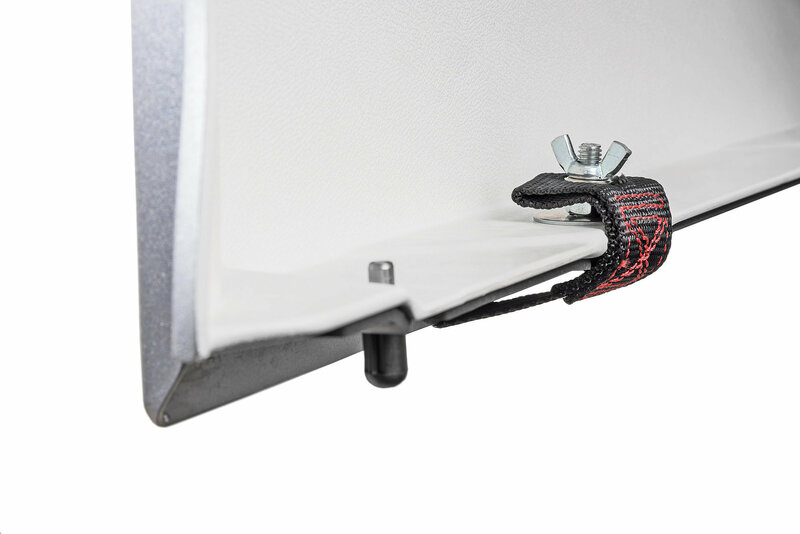 However, Lange Originals makes a wall mounted rack for Freedom Panels (sold separately). Designed for Wrangler JL: The Hoist-A-Top Simple is compatible with 2 door and 4 door models. This lift is meant for the factory hardtop only. Aftermarket hardtops may not be compatible. I give this 2 stars at best, but still somewhat incomplete. Installed the pulleys and cables, largely due to a well done YouTube tutorial offered by the company. Otherwise the paper directions are poor photo quality and somewhat hard to follow. The fit for the JL is provided via an addendum with (again) grainy photos. The hook for the JL lacks the thick rubber coating provided on the JK hook, so I am concerned about whether it might scratch the painted hard top. On the topic of painted hard top, there is a WARNING sticker on the bag of the hard top strap indicating that the strap may stain the paint. Ironically, the sticker says "IF YOU USE THIS PRODUCT TO STORE YOUR TOP..." - well what else would I have bought this product for? At this stage, I am not sure what I plan to do. The hardware is installed, so I've already drilled a bunch of holes in the walls/studs. Still I have concerns about the rear hook scratching the paint and the strap staining the paint. IF the strap didn't stain and IF the hook connected without scratching the paint, I'd bump up my rating. But I am not sure whether to proceed or not. I emailed the company via their contact form a few days ago and am awaiting a response. Great item! 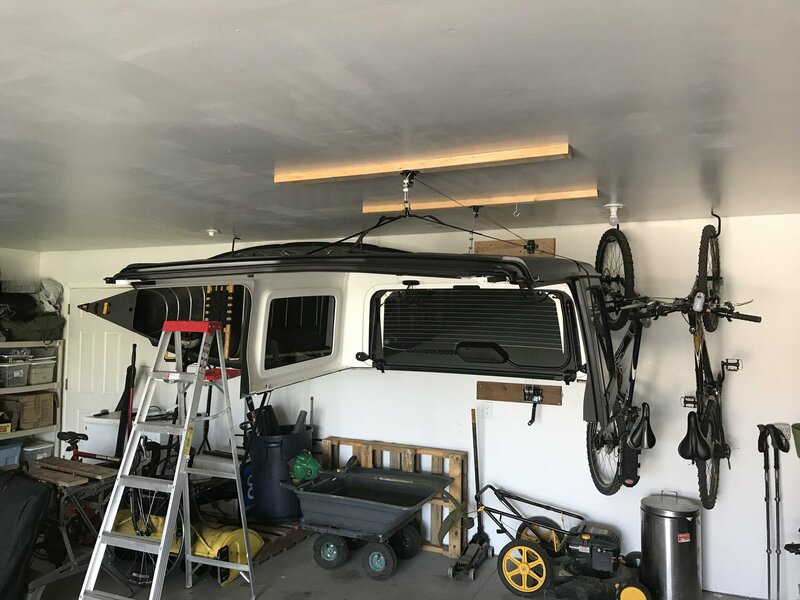 I installed this in about two hours by myself after hanging headers and 4X4's in my carport since I had no ceiling joists. Now I can remove the top in less than 15 minutes with no help needed. Stores nicely as well. Definitely a good choice. Only downfall is the slowness of the hand crank. Received and installed my top hoist today for my Jeep JL. Pretty simple if you just follow the instructions. Finding the joists and studs in the wall and ceiling and then centering all the parts on the wood was the hardest part. Not too bad though if you use a stud finder and a measuring tape. I cranked my top up from the garage floor so it was a little slow, but should be easier when it just goes on or off the jeep. Everything seems pretty balanced and secure.